Now that the Venom film is just one more week away from its release, the makers of the action flick have still managed to hide many ‘Venom-in-action’ moments from the film itself-because revealing more can be less during the actual theatrical experience. And Sony has kept it tight when coming to the action footage from the movie, starring Tom Hardy as Eddie Brock aka Venom. 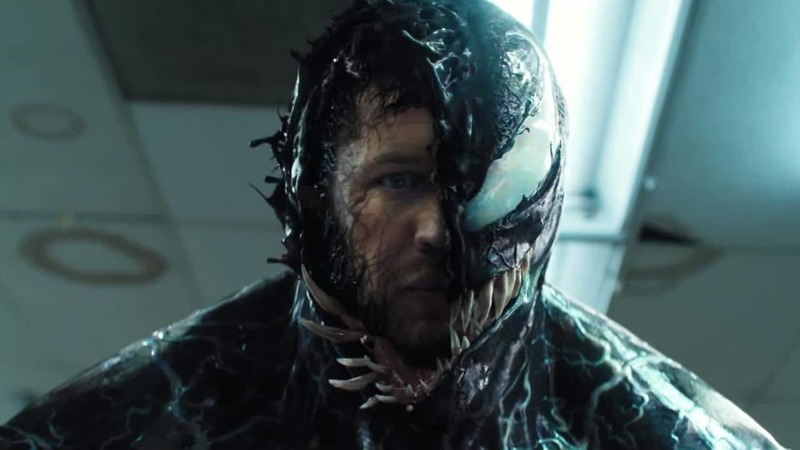 But less than 24 hours ago, a new official footage has been released by Sony revealing Hardy’s full-fledged CGI embedded action scene in the movie. Though it’s about half-a-minute, it’s quite enthralling! In the clip titled, ‘To Protect and Serve’, Venom can be seen battling-it-out against a group of armed police officers and shows his abilities. The decision to show less of Venom doing the action can turn out great for Sony, as fans will be more eager now to watch their favorite comic-book anti-hero in his big-screen appearance. There have been instances when revealing nearly every action scene of a film before its release leads to disappointing reactions from the audiences if the film is really not up-to-the-mark. Back in 2016, during Batman v Superman: Dawn of Justice’s promotions, Warner Bros. committed this big mistake by showing almost all the fights and actions (which were really vital to the film’s story) in the trailers themselves! But now, the strategy of a movie’s promotion has changed and the makers and the studios behind a project know that what to show and what to hide in the teasers, posters or trailers. Venom is directed by Ruben Fleischer, and also stars actress Michelle Williams (as Anne Weying), along with Riz Ahmed (as Riot, the villain), Woody Harrelson and Jenny Slate. The film is distributed by Sony Pictures, Columbia Pictures, Marvel Entertainment, and Tencent Pictures. It releases in theaters on October 5th, 2018. Pingback: SUPER BOWL 2019 – Is the Foo Fighters’ time yet? Pingback: Halloween is going to open big at the US Box-Office!